It happens to us all. You cannot escape it. The pit in your stomach, the breaking of your heart when you have to step back and let go. It keeps happening- over and over. Letting go of the infant who is now off to preschool, the toddler who clings to you on the first day of kindergarten, your sweet little child who is a tween going into middle school worried about what everyone else thinks, your young adult starting high school with influences around them that you hope you prepared them to manage and of course the ultimate letting go when your child is leaving the nest altogether...they move out! You did it! You did your job. But wait, while all the regret? The pain? The tears? It’s easy to remember those things you wish you did or maybe did more of. You were not perfect. You missed something along the way. It all happened so fast, how could you have done it all? You didn’t even see this coming! I know, I have felt my heart break at each of these moments. It breaks every day now with the constant reminders that their childhood has ended. My babies are far from being babies. I'm the mother of both a middle school and high school student. The reality that I only have 4 more years of having my daughter in my daily life is staring straight at me in the face and all I want to do is cry. I ask myself, "How did I let this happen?" All the things I wish I had done, all the things I meant to do. It’s okay. It’s actually great. It’s perfect. We all do our best, we are human. And we did well. You gave your children what they needed. What you had to give was enough. 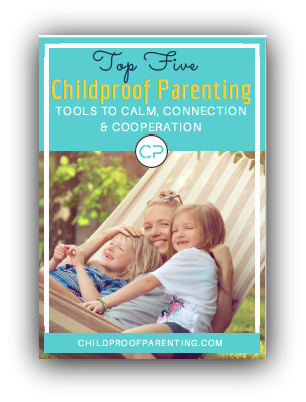 You're not perfect and that is what your children needed and still need from you: A real model of how to be human. It’s okay to mourn the loss. To honor it. This was a gift. One that will continue to take from you, but give more than you ever imagined possible. To love so deeply is a gift. To be loved unconditionally is a gift. Honor what you have done, what you have given. And be open to what is next. Look forward, this child (these children) will always love and need you. They will continue to seek your love, guidance, and friendship. It’s not over, it’s just beginning. Your child is making a difference. They are and will change the world. They are who they are because of your hard work and the relentless love you have given. Be proud. Embrace and honor the journey you have been on. And be grateful for all that you have learned from this person, this experience, and how it has made you who you are. A better person. You Ready To Put Your Family On A Screen Diet?